If you’ve been looking for an easy vegan dressing that can be whipped up in about 2-minutes flat, we’ve got you covered. 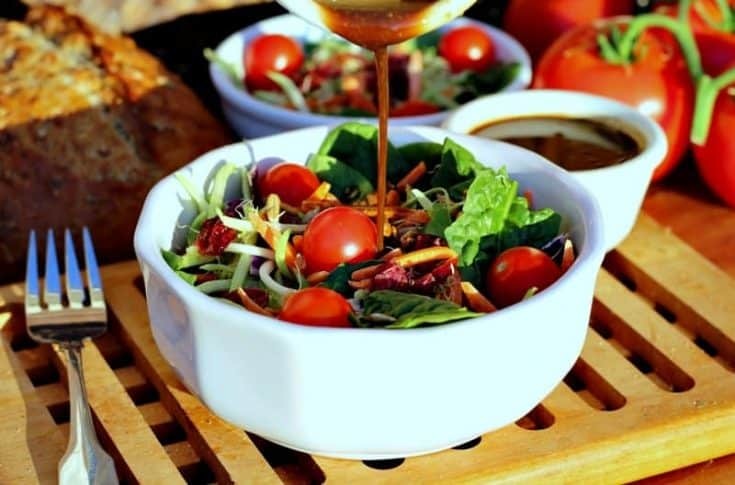 This oil-free 3-ingredient dressing is fabulous on more than salads too. 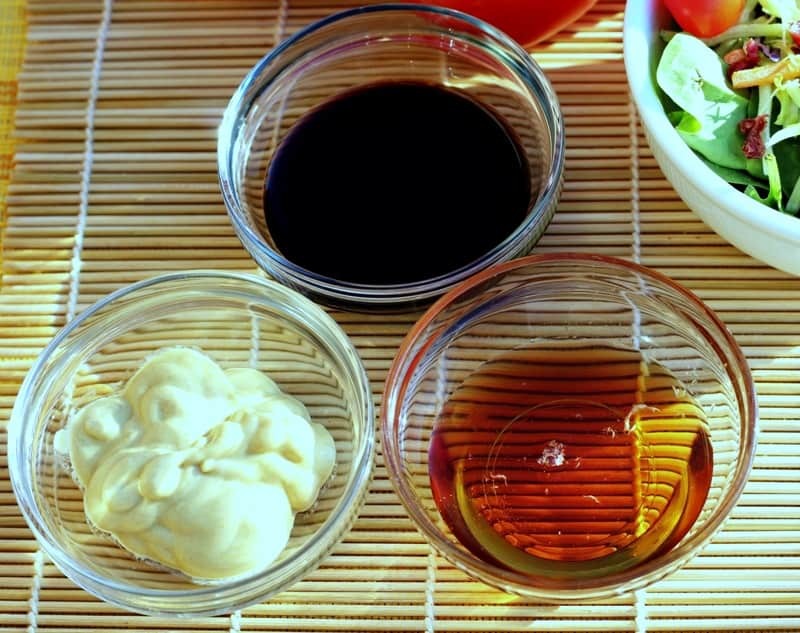 Simple 3-ingredient salad dressing that is great on pasta and beans salads as well. This recipe is great on pasta and bean salads, as well as regular garden salads. With only three ingredients required, it’s likely you’ve already got everything needed on-hand. Vinegar, mustard, and maple syrup are the only 3 ingredients. Another great thing is that these ingredients can be switched out with other variations if desired. 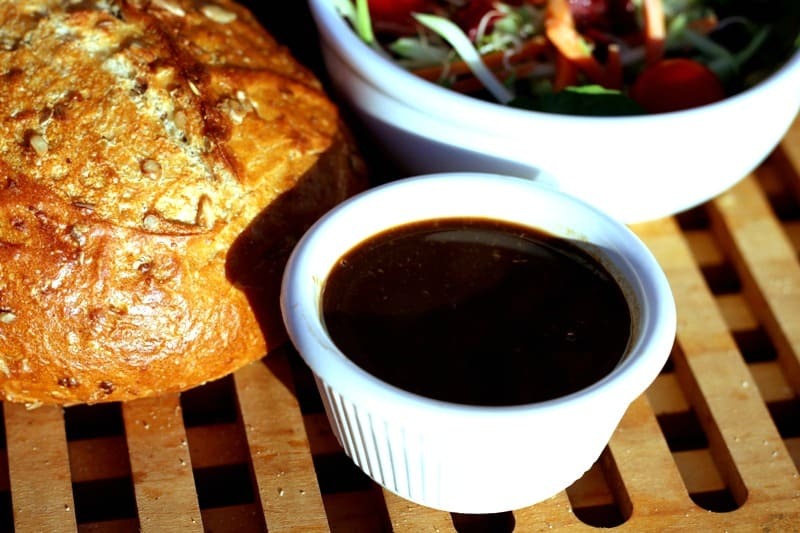 For instance, though the recipe calls for balsamic vinegar, other vinegars such as pomegranate, red wine, as well as others can be substituted. The same goes for the mustard. I personally like Dijon in this dressing, but brown spicy, yellow, and others would likely be delicious too. 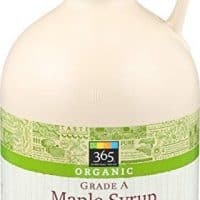 If maple syrup isn’t a favorite for you, try agave, brown rice syrup, or other sweetener of your choice. 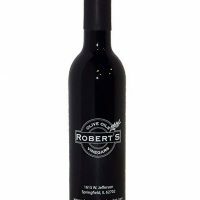 Whether served on garden salad, bean salad, or pasta salad, this stuff is amazing! Recently, I demoed Easy 4-Bean Salad in a Food for Life class I was teaching, and I decided to use this dressing instead of the regular Italian dressing called for in the recipe. It was amazing and got rave reviews from class participants. Everyone was delighted to see that it was so easy to make. 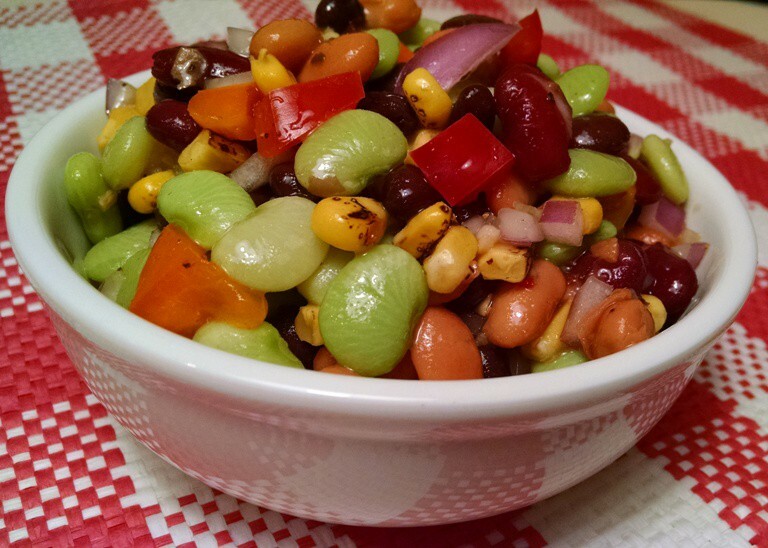 Easy 4-Bean Salad that we make in Food for Life classes is a great recipe to use this 3-2-1 dressing in. 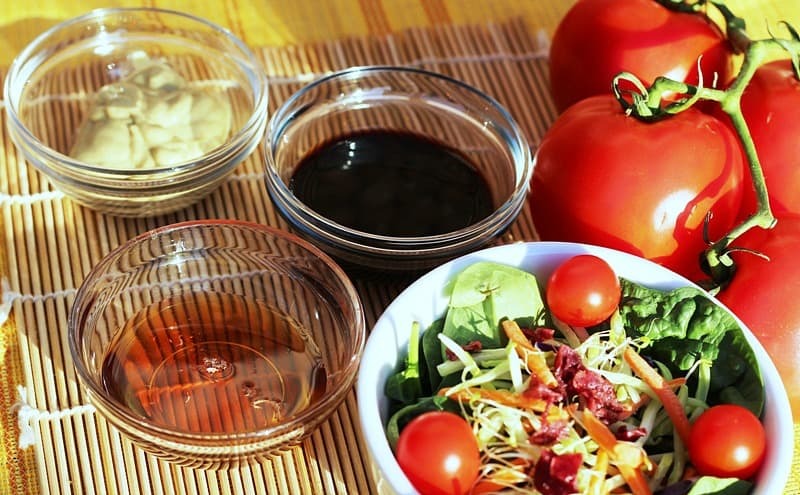 Pasta salads are another great option for this dressing. This Easy Vegan Pasta Salad is a terrific recipe that calls for a very similar dressing, but 3-2-1 Dressing could easily be substituted to make it even simpler. 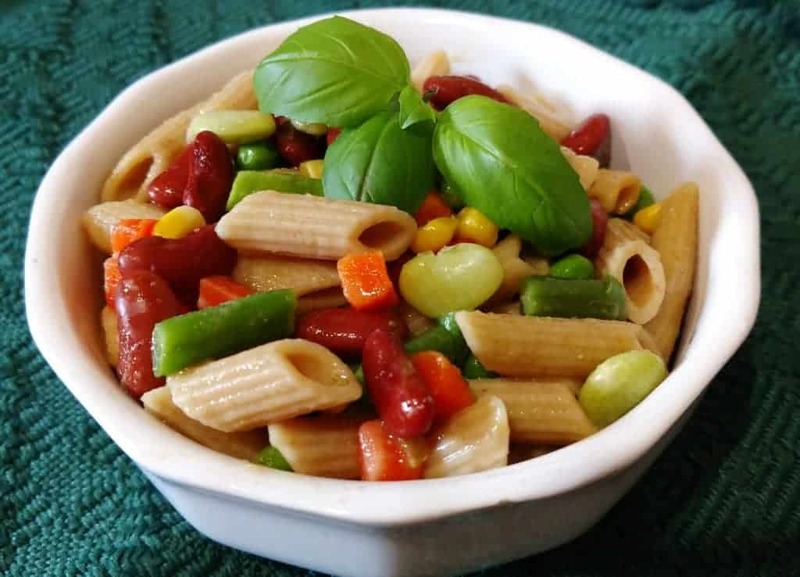 Easy Vegan Pasta Salad is a great recipe for 3-2-1 Dressing. Esselstyn 3-2-1 Dressing was created by a chef named Jane Esselstyn. She is the daughter of Dr. B. Caldwell Esselstyn Jr., M.D., author of Prevent and Reverse Heart Disease. 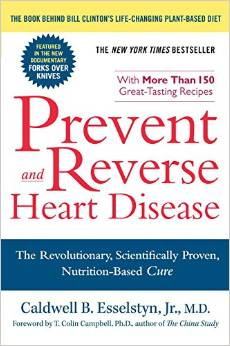 Prevent and Reverse Heart Disease by Dr. Caldwell Esselstyn. Click to view on amazon. Links to Amazon.com are affiliate links. When you buy something through my links, I receive a commission that helps support this site which is greatly appreciated. 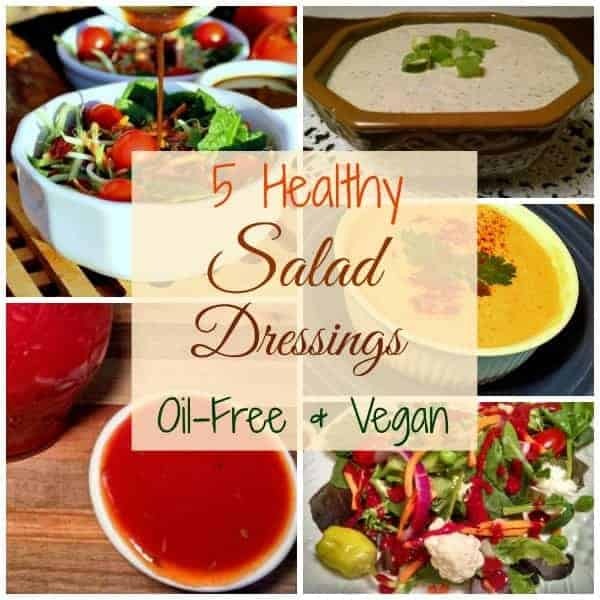 These are some of our favorite oil-free salad dressing recipes. Click photo to see other recipes. Whisk all ingredients together in a bowl, or shake up in a jar. Pour over garden salad, bean salad, or pasta salad. It doesn’t get any easier than this 3-ingredient dressing. Hi, I have the book abd I love it. In your writing you state that “…. by a chef named Jane Esselstyn. She is the wife of Dr. B. Caldwell Esselstyn Jr….”. Isn’t Jane Dr. Esselstyn’s daughter and Ann his wife? Thats what I’ve thought. You are right! Jane is Dr. Esselstyn’s daughter, and Ann is his wife. Typo on my part. Thanks so much for bringing it to my attention.